Got the recession woes? Consider moving to Nebraska, which MainStreet.com recently named the happiest state in the union because of its financial stability. Lincoln is a typical Midwestern community: It has a large manufacturing industry, and local business owners and officials attribute much of their success to the educated workforce and Midwestern work ethic. 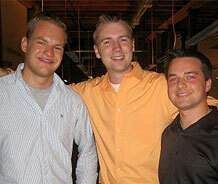 In recent years, Lincoln has a resurgence of young business owners. 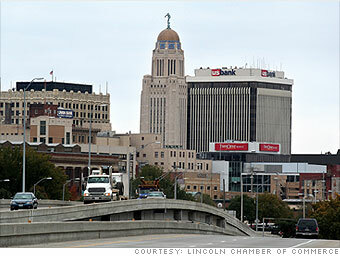 Entrepreneurship is promoted locally by the flagship campus of the University of Nebraska, which fosters local technology businesses and recruits young talent to Lincoln. The city's small business owners form a tight-knit community that provides support for established and aspiring entrepreneurs. Recently, the city has answered demands for increased recreational opportunities in Lincoln by developing hiking trails, parks, golf courses and tennis courts. What do you think of Lincoln?